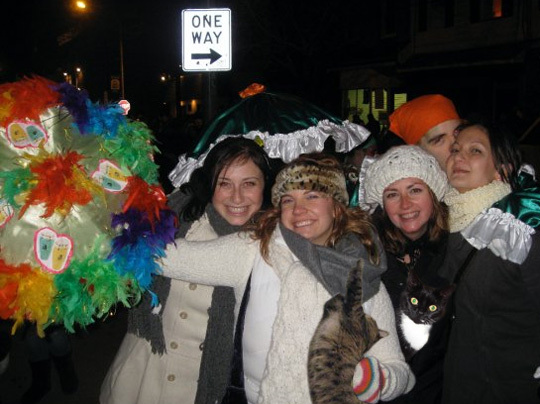 What is the Mummers Parade? It's a 110 year old tradition in Philadelphia. On New Years Day a bunch of guys dress as women and walk around the city in matching costumes. It's actually a little more complicated. Read up here if you'd like. In this photo my friend Caitlin is hanging out with some buddies and a colorful umbrella. Looks like they had a great New Years.